Home Internationals Burning Some Bridges Again Eddie? Burning Some Bridges Again Eddie? Way back in 1970 there was a movie called Kelly’s Heroes. The plot of that movie is irrelevant to the thought that I want to share with you. But I do want to start with the theme song from that movie. It was a song titled “Burning Bridges” by the Mike Curb Congregation. Which brings me to Eddie Jones. Eddie is an abrasive individual with a penchant for rubbing people the wrong way. Just in the last four years as coach of England’s rugby team, Eddie has managed to get under the skin and up the noses of more people, groups, teams, clubs, regions and countries than most politicians can achieve in a lifetime of political grandstanding. That is the Eddie Jones way. Not unexpectedly, now that the 2019 Six Nations is a thing of the past, Eddie has found a new way to offend and upset people. He has “ruled himself out” of the running to become the next Lions coach for the tour of South Africa in 2021. Of course, being Eddie, he did not just say that he was not interested in the job and that he would not want to be considered, he had to go all the way and insult the Lions and all previous Lions’ coaches by suggesting that the job was nothing more than window dressing and not a real coaching job. Perhaps Eddie presumes too much? I am not sure that he would be offered the Lions job after England’s mixed results under his guidance. They finished their 2019 Six Nations campaign with a hugely disappointing draw against Scotland at Twickenham despite leading 31-0 at one stage in the Test. Be that as it may, Eddie’s contract with England expires in 2021, and the Lions job might have been a nice way to put a seal on his coaching career in that part of the world. You can be sure that he will not be offered the job after his disparagement of the position as being purely ambassadorial. It is yet another example of Eddie burning bridges, one of the more regular occurrences in his chequered career. There are the bridges he left behind him as he departed one job for another. He was fired from his job as Aussie coach in 2005, two years short of the end of the initial contract term which was to end after the 2007 Rugby World Cup. 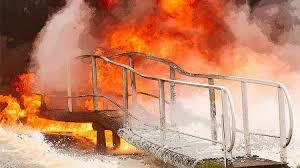 A bridge was set alight then which will probably preclude him from coaching Australia again. He left the Reds back in 2007, after just a year in charge and two years before the end of the three-year contract he had signed with Queensland. The departure was acrimonious, at best, as he had done his best to upset all and everyone. During this one year stint he was even fined $10,000 dollars for calling the performance of referee Matt Goddard “disgraceful” and “lacking common sense” after a close 6-3 loss to the Brumbies. Strangely, for Eddie, there was nothing controversial or acrimonious about his departure from the SA squad. It would not take long for Eddie to be back to his arsonistic best. After the World Cup, Eddie joined Saracens, initially in an advisory role, before taking over the director of rugby role for the 2008/09 season. However he soon announced he would be stepping down at the end of the season due to “personal reasons”, and then quit early in March 2009 after disagreements with the board; he described the period as the “worst” he has had in rugby. Yet another bridge left in embers. Eddie followed his Saracens stint with probably his most successful and happy time as a coach, when he returned to Suntory Goliath in Japan, and achieving some great results, eventually taking over the national coaching job from John Kirwan in 2012 and taking them through to the 2015 Rugby World Cup and their unexpected win over the Springboks. During this time as national coach of Japan Eddie started to agitate for Japanese involvement in Super Rugby. After being the chief cheerleader for the establishment of the Sunwolves and their inclusion in Super Rugby, a team that he was to coach from their inception, he hurriedly left the building before their first practice session as a team. Nobody is quite sure why he left so unexpectedly and without much publicity. There were suspicions of another bridge, but it is not the Japanese way to speak of these things, so we will never know for sure. After leaving Japan, he signed on with the Stormers down in Cape Town, only to jump ship before he had even found out which was his office at Newlands. 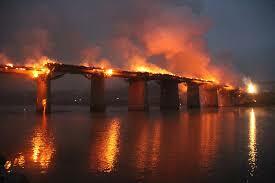 The whole affair left something of a sour taste in South Africa – shall we say yet another bridge was burning? In November 2015, Eddie signed his contract with England. Everything was roses, in so many different ways and on so many levels for the first two years. Eddie surfed on the very crest of a giant wave of success, which prompted an enthralled England to offer him an extension to his four-year contract, initially intended to end after the 2019 Rugby World Cup. His contract was extended to the end of 2021. During this happy time Eddie revelled in his success and could not resist taunting his opponents – be they coaches, teams, or countries. He upset and offended the Irish, the Welsh, the Scots, and then the Aussies in 2016, getting persistently and deeply up Michael Cheika’s nose. Along the way he took a couple of swipes at Steve Hansen and the All Blacks, and had some giggles about the Springboks, although he could be forgiven for the latter, most of the world was giggling about the Springboks at that time. Then the wheels started to wobble a bit in 2017, and the English “happy time” started to encounter some rough roads. The professional clubs and Eddie clashed, especially about his training techniques that frequently left players injured. 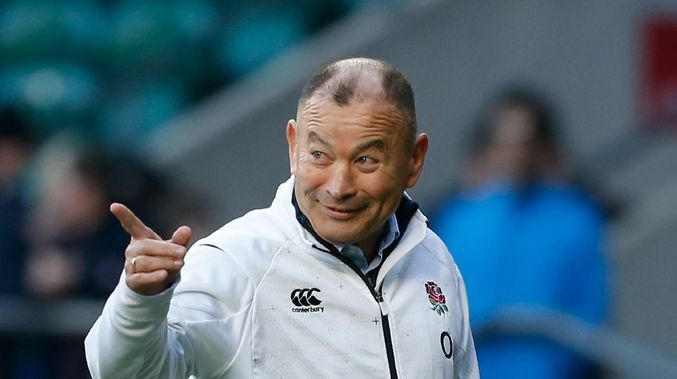 England’s results were also on a downward slide, and the RFU announced that Eddie’s job was not guaranteed despite the extension to his contract, and that he was subject to performance reviews. 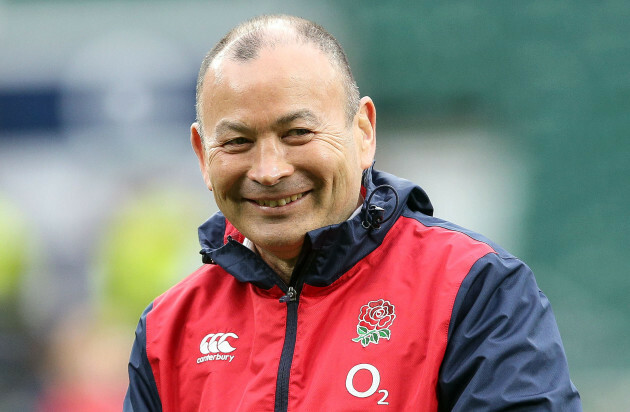 The unhappiness between the clubs and Eddie Jones soon escalated to open warfare as Eddie could not resist making disparaging remarks about club officials. He was setting fires again! He had some particularly disparaging remarks about the owner of Bath club, Bruce Craig. Craig was not happy that his club had lost no less than 5 players as a result on injuries sustained at England training camps, saying that the number of injuries wass “totally unacceptable” and stated “there has got to be significant questions asked about duty of care”, adding “what is going on in the camp?”. Eddie does not like the criticism! He immediately hit back at Craig. He told Craig that he was unqualified to criticise his methods during England practices. A week or two later, on his arrival in South Africa for England’s midyear tour, he immediately launched a personal attack on Bruce Craig, labelling him the “Donald Trump of Rugby”. “Bruce Craig sounds like the Donald Trump of rugby. He has the same hairstyle,” Jones said. 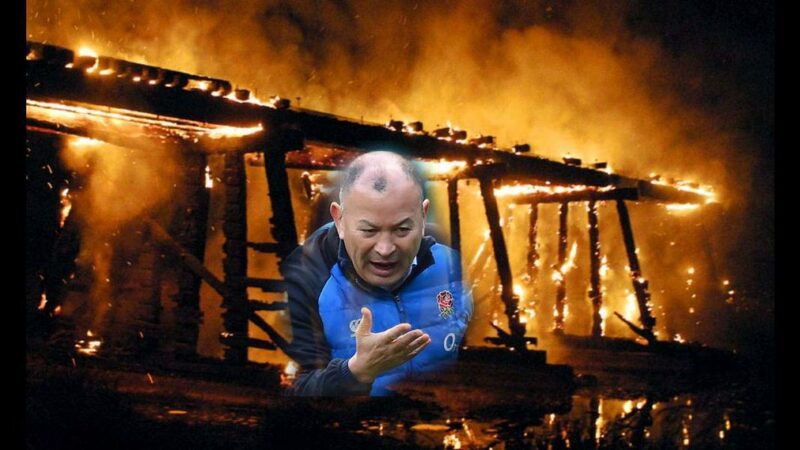 Shall we say that Eddie was actively stoking an inferno that was sure to decimate any bridges that might still exist between himself and club rugby in England? So, in-between fighting with his employers back in England; fighting with the club owners from whence he draws his players, and launching into a personal attack on one of those owners, Eddie was also trying to pick a fight with the ghost of Nelson Mandela? Setting fires all around him? This time Eddie was not content to burn a bridge that was behind him, this time he was going to burn a bridge before he even got to it! This time it is the British & Irish Lions and the coaches of that esteemed rugby institution. Eddie is happily setting fire to yet another bridge. And who knows where he will point his flamethrower next? I will end this little discussion with another musical reference. Next articleSuper Rugby Previews – Round Seven – Friday Games.